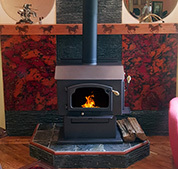 Sierra Wood Stoves from Sierra Products, Inc.
For more than 30 years Sierra Wood Stoves have provided engineering excellence, exceptional value, and versatility. With new EPA regulations taking effect 2015 the original designs including the 8000TEC (2.1 Gram/hr) and 4700TE (2.4 Gram/hr) are approved. The 2100 and 5300 stoves are being evaluated for the New Source Standard. We will continue to support our legacy designs 2100 and 5300 including replacement parts and rebuild kits. Sierra offers maximum installation flexibility with many installations other stove companies do not provide. Our 800TEC Hearthstove® with low overall height, top or rear flue outlet, and side loading door allows for installation in front of fireplaces or raised hearths. Our 4700 Fireplace Insert will fit the largest masonry. A true three window bay view allows for wide angle view of the fire. 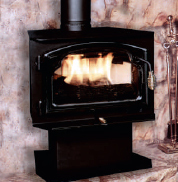 Wether you have a farm, workshop or shop you may consider our Shenandoah Thermostatic Wood or Coal Heaters. Sierra has it all covered! Sierra™ Wood Stoves and inserts are certified to the US Environmental Protection Agency (EPA) and are designed to produce low emissions. We manufacture both catalytic and non-catalytic designs, which use different technologies to achieve high efficiency and clean-burning performance. The Sierra™ 8000 Catalytic wood stove and 4700 Insert are larger than non-catalytic wood-burning stoves, with longer burn times. Our catalytic wood stoves and inserts include a ceramic catalytic combustor in the upper firebox with a bypass damper to assists in easy starts. In a conventional stove up to 30% of the chemical energy may not be consumed in the firebox and can escape to form creosote which pollutes the chimney and the atmosphere. The catalytic combustor operates at high temperatures using this additional energy so you retrieve heat from the burning logs and from the burning smoke generating up to 50% more heat. The catalytic stove can reduce chimney creosote build-up, lessen air pollution, and decrease operating costs when compared to a conventional stove. Our catalytic combustors are designed to withstand 12,000 hours of continuous use and come with a manufacturer’s 7-year pro-rated warranty. Proper and regular maintenance will increase the effectiveness of the combustor and help optimize its life expectancy. Non-catalytic wood stoves use refractory materials to hold heat within the firebox, and inject secondary air into the top of the firebox to further the combustion process. 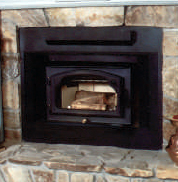 Sierra™’s non-catalytic wood stoves and inserts are very clean-burning and efficient. Non-catalytic wood stoves can be used for zone heating as well as heating large areas. 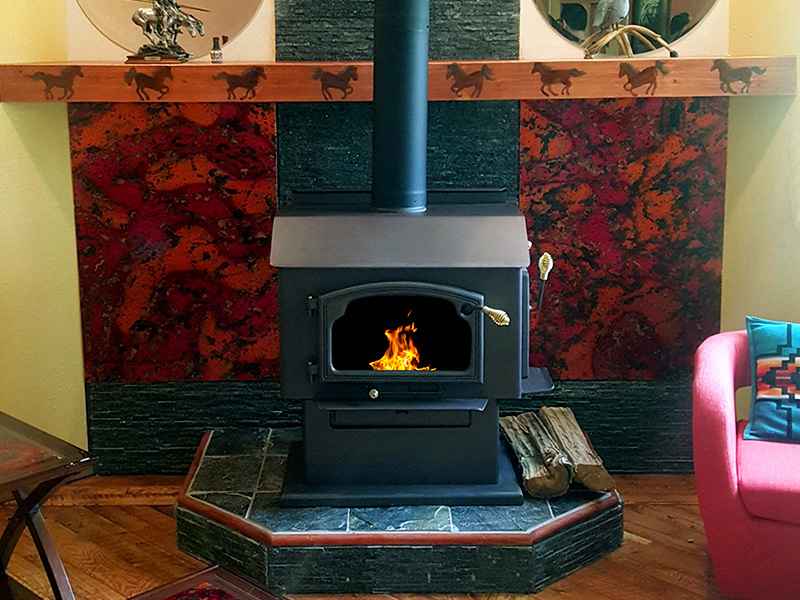 The Sierra™ Wood Stove line with it's many models and configurations allow for placement in a zone that will help to provide heat throughout your home. 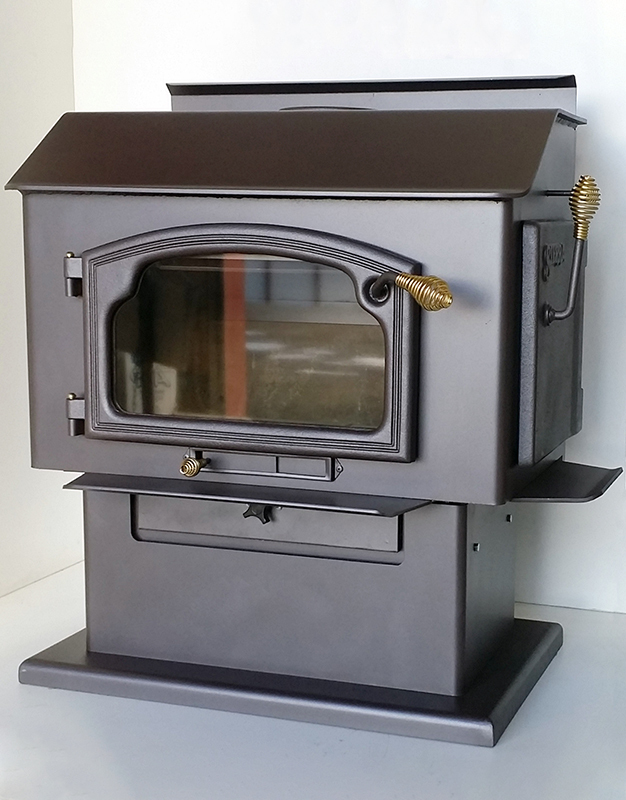 The original Hearthstove® with low overall height, top or rear flue outlet, and side loading door allows for installation in front of fireplaces or raised hearths. Utilizing a proven catalytic combustor design, the 8000TEC provides high burn efficiency and 2.2 Grams/hr. Sierra 8000TEC with options including: Pedestal, Blower Fan, and Custom Color. Note top or rear flue outlet options. Our 4700 Fireplace Insert will fit the largest masonry fireplaces and utilize a proven catalytic combustor design providing high burn efficiency and 2.5 Grams/hr. A true three window bay view allows for wide angle view of the fire. A thermostat controlled dual fan circulates room air for maximum efficiency. This is your big house wood heater! Attractive design with step top and heavy duty construction. 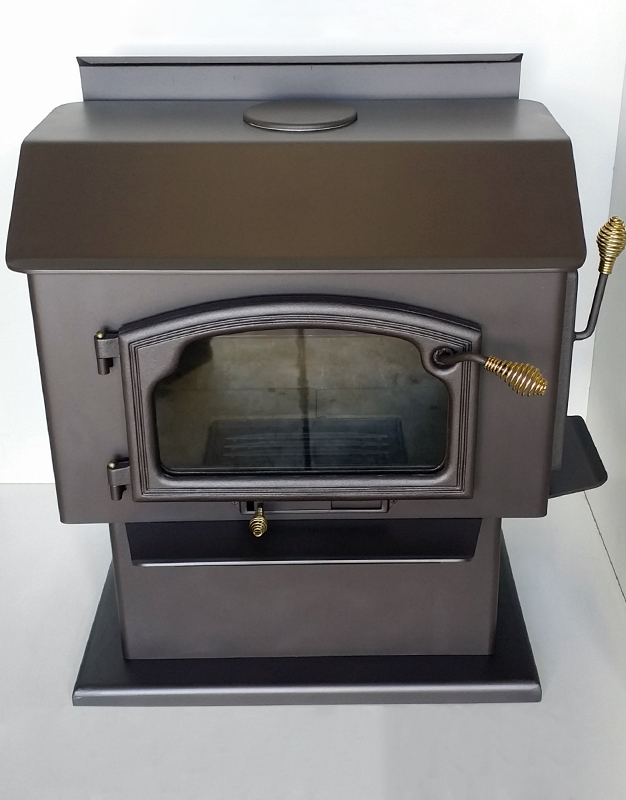 The 2100 has pedestal and leg freestanding models and a hearth mount with rear flue connection. All stoves feature heavy duty steel construction, wide view ceramic glass, large firebox for overnight burns, simple single lever air control, and ash removal system. Additional features include outside combustions air, mobile home approval, and optional 130 cfm blower system. Originally designed as a zero clearance fireplace insert the "Cricket" has a small profile to allow for easy installation. 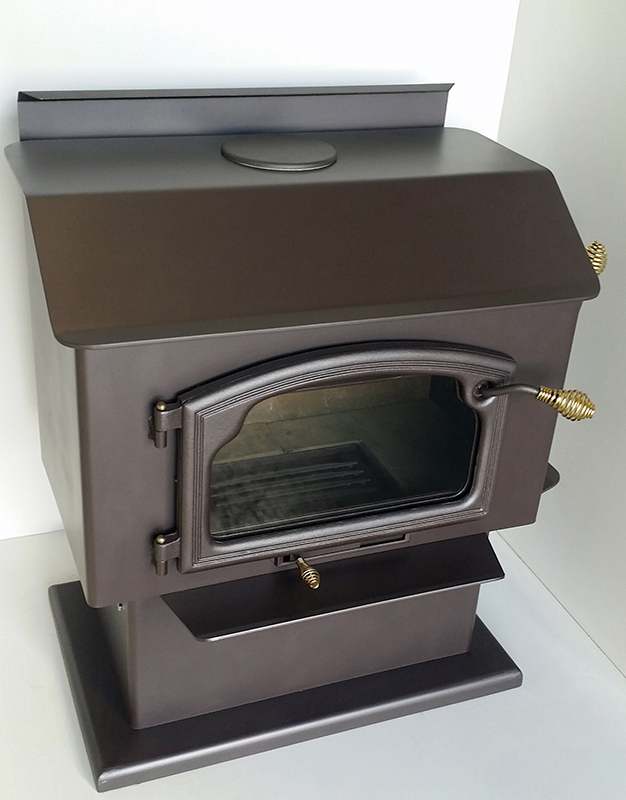 Also available as a free standing stove with pedestal and reduced clearance jacket.